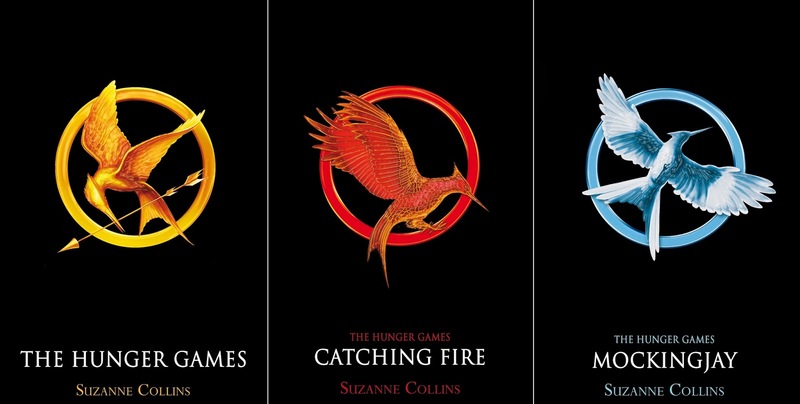 I started The Hunger Games in December 2011 and raced through all three books. I started blogging around the same time, but I never ended up reviewing them. I then re-read the series in March 2012. I was already craving them and wanted to re-read before seeing the first movie. When I was updating Goodreads this time around, I noticed that I finished my first Mockingjay re-read in 2012 on the same day that I finished it this year. "REAL OR NOT REAL?" Lots and lots of feelings. This was my third time reading the series, so I did remember a significant amount of stuff that happens. Of course, I've also watched the movies a million times! I remembered all of the big plot points and reveals, but I forgot about the emotional depth and nuance of the story. My love for Peeta Mellark is second only to my love for Gilbert Blythe, which sometimes leads me to forget just how smart and thought-provoking the themes are in this book. I'm sorry, but they get lost in the haze of the boy with the bread. I consider this one of my favorite series, so it holds a special place in my heart! I wanted to re-read for two reasons: 1) it had been three years since the last time I read it, so I was overdue for a re-read and 2) I'd planned to re-read before watching Mockingjay: Part 1 but never got around to it. Since the movie came out on Blu-Ray in early March, I figured I could finally re-read and them binge all three movies! Goodness, I'm so glad I did. And I'm thankful The Re-Read Challenge helped motivate me! As Anne Shirley would say, I was in the depths of despair. These books make me feel like an emotional wreck, but in the best way. I'm always so sad when I get to the last page of Mockingjay. I know some people have issues with it, but I love it. From start to finish, these are books I want to read again and again. I want to highlight entire passages, dogear the pages that make me think, discuss the themes with bookish friends, and just feel for the characters. I'm a character reader, and that's what first made me fall for this series. I become very fangirl-y whenever I read these books. The first time I read them, I begged my husband to name our future dog Peeta. He put his foot down on that one, but it didn't stop me from naming my Kindle Peeta. I'm not even embarrassed about it. In my March recap, I also admitted to spending hours watching videos about these characters. (Since then, I've also purchased two paperback boxed sets of these books - in addition to the hardcovers and Kindle copies I already owned. HUSH.) I've also possibly spent more hours than I care to admit reading fan fiction for this series. This series literally exemplifies "so obsessed with" for me. I've always meant to properly review these books, but I could never bring myself to do it. I think I'd rather discuss them over coffee - tuning out the world and excitedly bonding over a shared nerdiness - than try to explain all the reasons I love these books. This was one of my first introductions to the Young Adult genre, and it was such a promising beginning. I read mostly adult fiction in high school, and I don't feel like YA was as defined as it is now (though I could be wrong). Either way, I read this series right around the time I started blogging, and it's remained an all-time favorite for me. I adore these characters so much. Are they perfect books? Probably not. BUT THEY ARE PERFECT TO ME. There are so many things I love in these pages - the characters, the writing, the plot, the setting, the social commentary, the emotions... Basically, everything about it. ABSOLUTELY! In fact, I wanted to pick up the first book and start all over again the minute I finished Mockingjay. This series is one of my all-time favorites, and I honestly don't think I'll ever get tired of it. I loved the series just as much (if not more) than I did when I first read it four years ago. I'm so glad my love has grown! 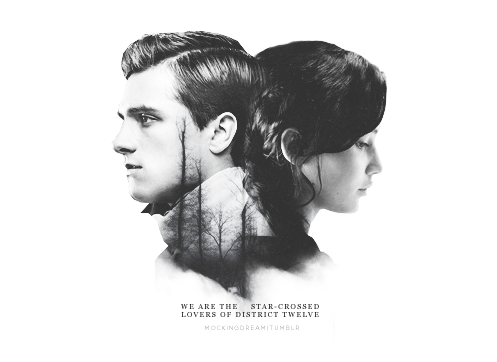 My boyfriend hasn't read the books so he doesn't know that he needs to be on Team Peeta too. I'm so surprised that this is your third time through the series! I read them all as fast as I could when they were first being released, but I haven't read them since them. I don't think I'll do a re-read though, because I didn't love them that much (though I thought they were wonderful!). PS I'm reading Anna Karenina right now toooo! Twinsies. I have so, so much love for Peeta. He was always my favorite, apart from Katniss, in the novels, and just seeing you gush about him makes me sort of want to reread. (Though I haven't ever reread these novels just because I'm so scared of being as traumatized and in the depths of despair, to take your description, as I was the first and only time I've read them) I really enjoyed the trilogy overall, and think that it definitely has a great combination of characters, themes and plot to entice a reader! I keep meaning to reread this one! I always worry about rereading -- especially with books like this -- because I feel like my feelings for the book will change for the worst ... one day I'll read it again and we'll see what happens!